Interest rates are at an all time low which is why more and more people are looking to invest in something more solid. Adding to or starting a buy to let property portfolio with Walton & Allen is a fantastic way to make your investment capital work harder for you. Walton & Allen has a forty year history in property management and many of our senior partners are also investors, making us ideally placed to offer you advice on this type of investment. 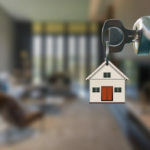 We also have a database of properties, many of which are already furnished and ready to let or even have a sitting tenant, meaning your investment can start paying off the moment you complete. We can even add your name to our investors database and let you know any time one of these properties becomes available. Over the years we’ve also developed a number of solutions for distressed property portfolios and we’d be happy to discuss these options with you with our dedicated Investment Manager. There’s never been a better time to buy to let in Nottingham. 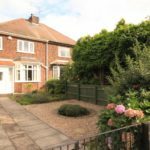 View our advice for Landlords or read why Nottingham is one of the best places in the UK to invest. As standard, Walton & Allen advertise every rental property at above market rate for the first 14 days. This ensures you are getting the maximum possible rental income. Most of the time these properties are reserved within these two weeks which is great news for all our Landlord clients. Talk to us today about our competitive rates for both a tenant find and fully managed properties. Nottingham is listed as one of the most lucrative buy to let cities in the UK. Find out why here. Download our free landlord checklist to discover almost everything you need to be considering when renting your investment property. Why not browse our properties for sale through Walton & Allen estate agents? Walton & Allen provide either a tenant find only service or a fully managed service which takes care of everything from rent collection to managing all tenant contact. View our Landlord services to find out what we can do for you or call 0115 9243304. We have very experienced mortgage brokers who deal in buy to let mortgages almost every day. 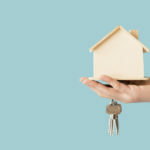 Our mortgage advice will compare the whole of the mortgage market to find out of the best buy to let mortgage deals for you, to try and save you money. We are also experienced in ‘Gearing’, a term used to spread your cash across multiple properties to increase your rental return. To talk to us over the phone, in person at our offices or at your own home, use the form below or call 0115 9243304. Need a tenant find or a fully managed buy to let service? Fill in the form below to find out more about what we can do for you. Our friendly lettings team will be happy to discuss tailor made options for you, based on your investment property portfolio.